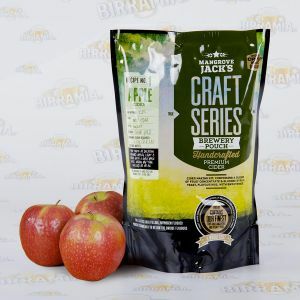 Cider is an alcoholic brew obtained through the fermentation of apple juice, whose alcohol content varies from 4 up to 7 alc. vol. Known in Normandy since the Dark Ages, its spread has been limited only to particular geographical areas, such as the countries of Celtic area. Nowadays, the major producers of cider are Brittany and the Asturias. 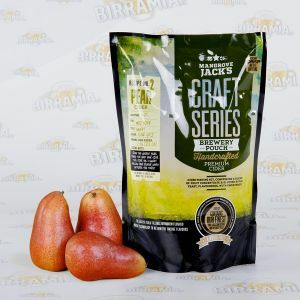 So as for beer, there are different ways of brewing cider, in this category you will find some concentrated apple juice in practical tins, from which after fermentation you will obtain a delicious drink. The tin contains also a sachet of dry yeast. 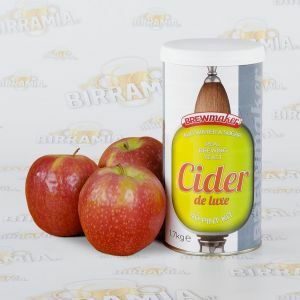 You can prepare cider by using the normal starter kit that you find in our catalogue.